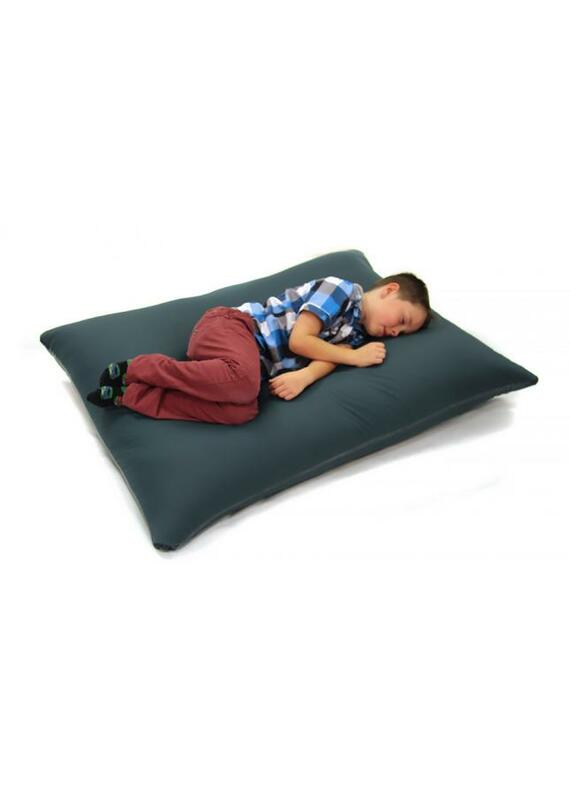 A fully waterproof bean bag floor cushion which provides a versatile soft seating option for any classroom in schools and nurseries. It is a multi-use seat which can be used flat as a large floor cushion, propped against a wall as a chair or turned on its side as a seat. 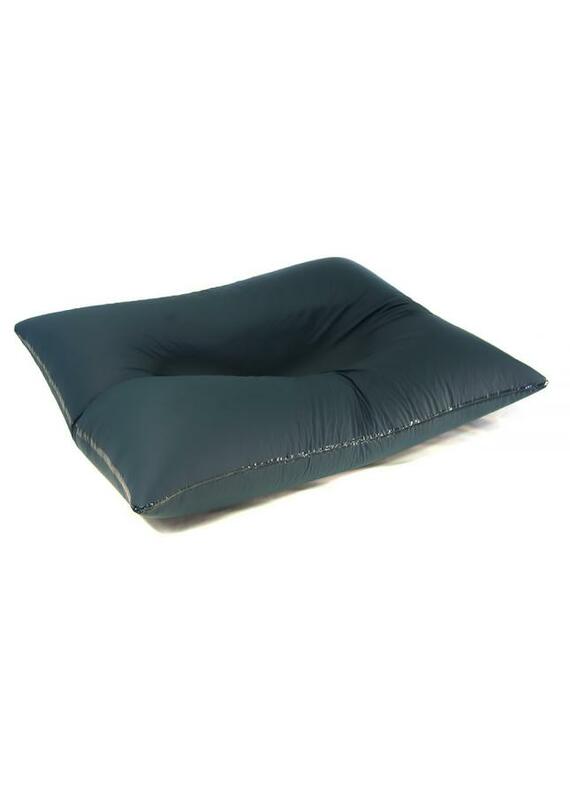 This bean bag is guarded against spills and leaks as the taped seams and tensioned zip flaps prevent fluids penetrating the beanbag. This makes it fully waterproof and ideal for use healthcare settings as well as education settings. 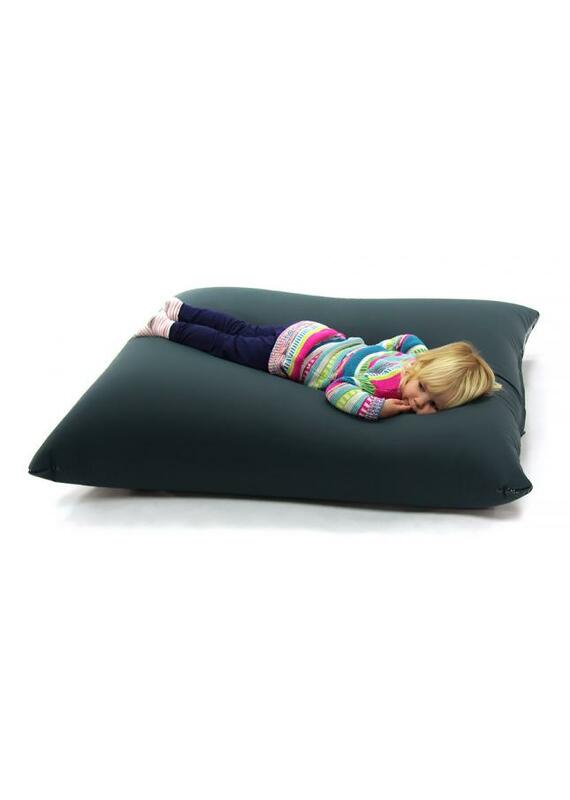 The waterproof bean bag can also be used outside so works really well in situations where children flow freely between indoor and outdoor classrooms. 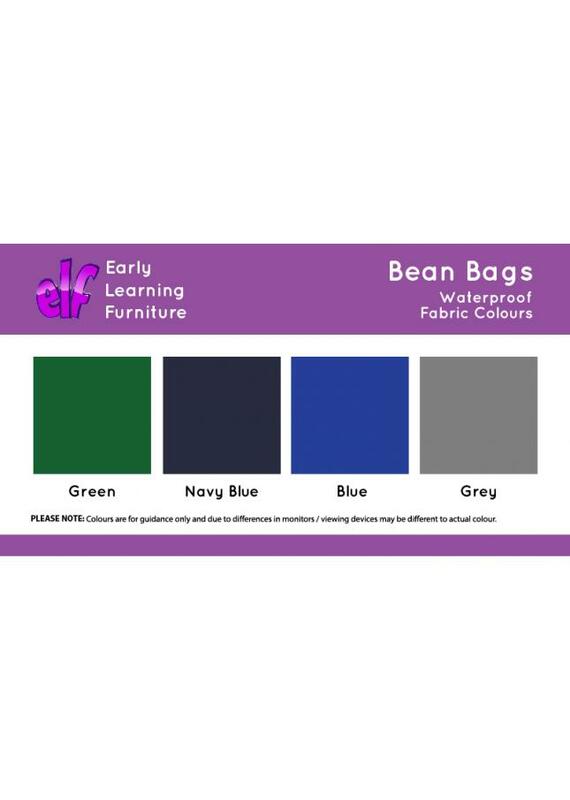 The bean bag cover is made from moisture vapour permeable, multi-stretch fabric, and comes in 4 colours – green, navy, blue and grey. To clean, it can be wiped down or, if necessary, the cover can be removed and washed at 70oc. The bean bag is filled with fire retardant polystyrene beads and complies with relevant British safety standards. Although fully waterproof, as this is an item of soft furnishing we would recommend it is not left outside.